Thank you for your patience in waiting for the announcement of the craft supply giveaway. It was a busy week/weekend and I've been feeling a bit under-the-weather lately. This morning I had my kiddos help me pick a winner. We used a super scientific method. I'm sure you've heard of this method before and maybe even used it yourself. I wrote all the of entries down on a slip of paper and put them all in my super cute green casserole dish and I had my kids choose one. They wanted to choose LOTS (I wish I could send all of you a little something). They finally relented and chose one piece of paper. 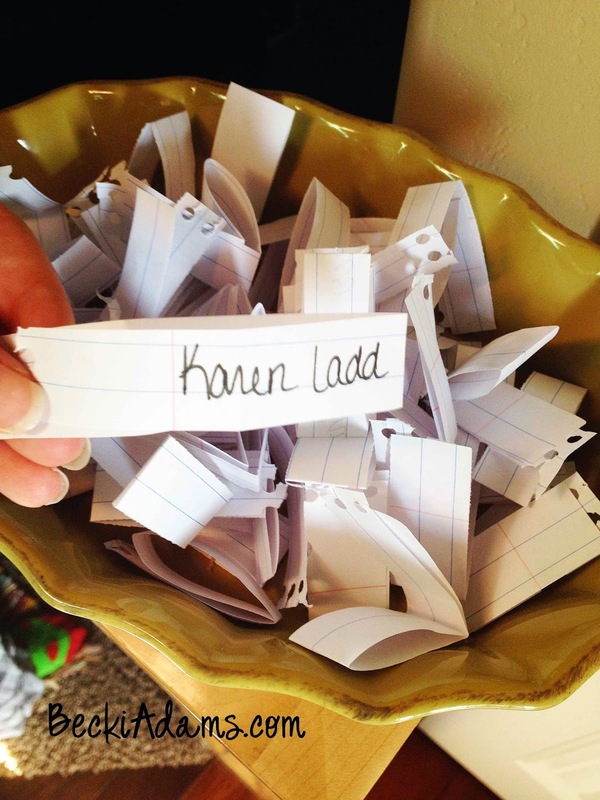 Karen Ladd, you are the lucky winner!!! Thank you ALL so much for playing along with me. I will be having another giveaway coming up in the next couple of weeks and it's even bigger and better!! Make sure you subscribe to my email list so you'll be notified when the giveaway starts. Hope you're feeling better soon Becki!!! 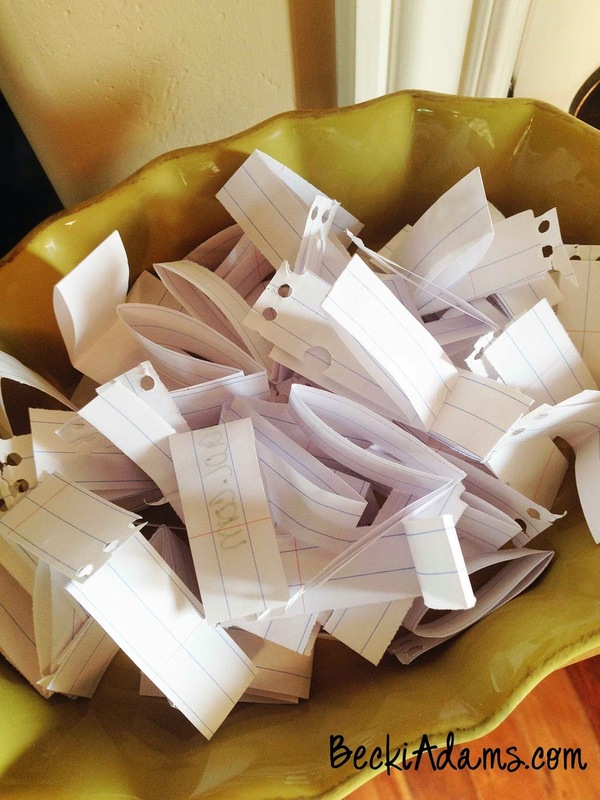 I had to giggle when I saw your low tech method of choosing a winner, and then I had a BIG smile when I saw that the winner was me!! Thanks so much (and thanks to you kids!). Hope you feel better soon. I've been fighting a terrible cold myself all week long so I know what it's like. Off to email you! Congratulations to my friend, Karen!!! Nothing like some craft goodies to help you feel better, huh?